A lot of weight loss supplements like to make a big deal about how much weight they can actually help you lose, or how fast they can help you do it. Protandim’s claims, on the other hand, are noticeably different. Not strictly a weight loss supplement, Protandim claims to be designed to reduce, relieve and eliminate oxidative stress. Oxidative stress is caused when your antioxidant defense system becomes unbalanced with the presence of free radicals in your body. Free radicals are unstable molecules without electron pairs. They damage cells, like DNA and protein. So what does this have to do with weight loss? Well, not much. But Protandim does include a few ingredients that are typically used to help you lose weight, so it technically qualifies as a weight loss supplement. To be frank, we’re not sure how much stock we put in weight loss supplements that aren’t primarily designed to help you lose weight. 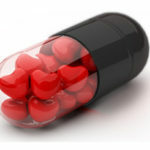 Considering how many of the results these products promise are unnoticeable, we can’t help but wonder if they really do anything, or if they’re just examples of companies selling you benign placebos. 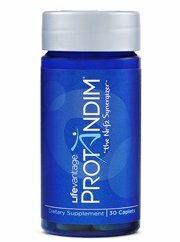 Since Protandim peaked our interest, let’s take a look and see what it really does. Protandium is produced by Lifevantage. Lifevantage is located in Utah and produces several different kinds of supplements. They make energy boosters and skincare products, as well as products that they claim can help reduce stress levels in your pet dog. We appreciate this kind of trans-species concern, but not enough to automatically assume that their products work. Let’s see how Protandim functions. Protandim helps reduce your body’s levels of oxidative stress. It does so by activating a protein that tells your cells to do things they need to survive when threatened by stress caused by free radicals. The name of this protein is Nrf2. Protandim also contains ingredients that can allegedly boost your metabolism. This would improve the way your body turns food into energy, reducing the amount of calories that get stored as fat in your body and increasing the amount that your body burns and turns into energy you can use. We were really disappointed when our search for independent reviews turned up short. We don’t really trust official information released by people who are trying to sell something to you, so we prefer to hear reviews from normal people who have already tried the product instead. Green Tea: this ingredient can be found in almost every weight loss formula on the market, due to the almost universally accepted belief that it can boost your metabolism to improve the way your body burns fat and makes energy. Turmeric: another ingredient capable of boosting your body’s metabolism. No one’s reported any side effects of this product, but the presence of caffeine in its formula could leave you feeling jittery and restless, or give you headaches. There actually seems to be clinically researched support that Protandim can help you with oxidative stress. Protandim isn’t really a weight loss supplement, so it’s very unlikely that it will help you lose any weight at all. We can help you find better products on the market for the same amount of money. Protandim is a health product created and sold by Lifevantage. It was originally designed to eliminate oxidative stress caused by an excess of free radicals. However, Protandim also possesses two ingredients, Green Tea and Turmeric, which are frequently believed to boost your metabolism. If it could boost your metabolism, Protandim would be able to help you lose weight by increasing the amount of calories and fat that your body could turn into energy. However, this is not the main goal of Protandim. Protandim actually seems like it may be effective in reducing oxidative stress, but it doesn’t seem like it would make a very powerful weight loss aid. Protandim doesn’t seem like a very bad choice if you’re looking for a supplement to reduce some of your physiological stress and maybe make your body a more harmonious place. Doing so may even make it easier for you to lose weight, as your body is more likely to work with you towards the goal of being healthy. This seems to be the extend of weight loss benefits you’re likely to get out of Protandim though. While its ingredients may possess the capability to boost your metabolism, it doesn’t seem like they exist in powerful enough doses here to really affect your weight. You should probably forget about Protandim and look for a supplement that’s more geared towards helping you get physically fit and healthy. 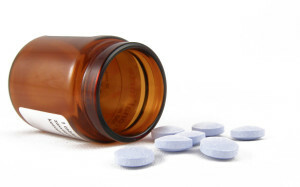 Our advice is to find a more effective diet pill that is better and safer for you.